I was super excited when I first discovered this novel because I’ve been meaning to give Kristen Painter’s writing a try, and although I’ve heard great things about her HOUSE OF COMARRE series, I have a more difficult time playing catch-up than I do jumping on the bandwagon at book 1. 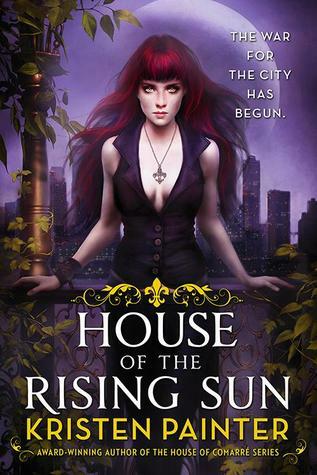 HOUSE OF THE RISING SUN has a lot going for it including captivating characters, detailed world-building, and a strong plot. Overall, I thought it was a good first installment, and a great introduction to Painter’s new CRESCENT CITY universe. However, I did have a major issue with Harlow; I found her to be very self-absorbed and I couldn’t sympathize with her daddy issues. She does get better at the story progresses, and I’m all for character growth, but her brattiness was just too extreme that it was difficult to see past it.